Clinical nutritionist Margaret Ellis specialises in live blood analysis and provides us this week with information about blood type O. Type O is the most common blood group. This blood type’s ancestors were the hunter-gatherers. On a high-protein, meat-based diet you can have a slim body in time for the new year. If you’re of African descent limit your intake of dairy and eggs. The only meat you aren’t allowed is pork. 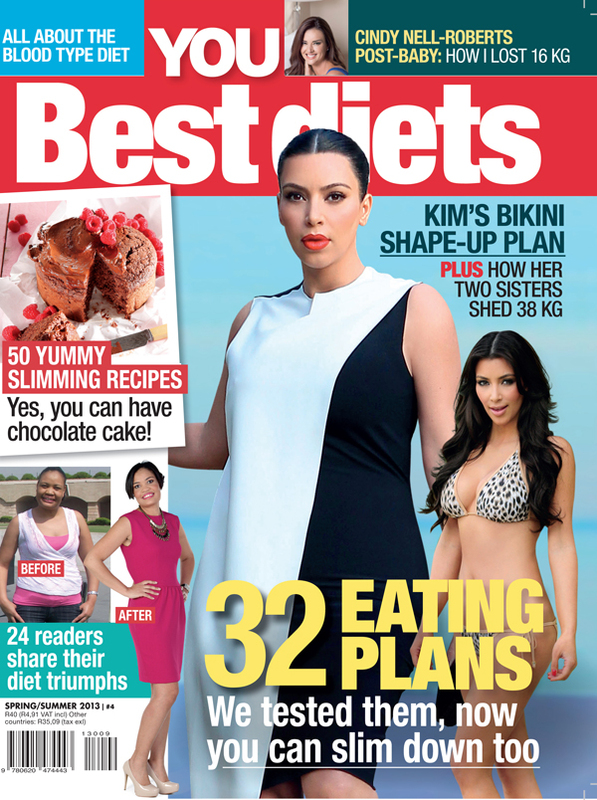 Get YOU Best Diets (on shelves now) for a thorough list of what each blood group can and can’t eat, and for delicious recipes for each type. BREAKFAST: Small bowl of stewed prunes, oats with soya milk and green tea. SNACK: Small handful of walnuts or almonds. of red and yellow peppers. Olive oil for dressing. Ginger tea. BREAKFAST: Poached egg on rye toast and pineapple juice. SNACK: Plum, fig or apple with pumpkin seeds. LUNCH: Salad with liver strips, lettuce, rocket, cucumber and baby tomatoes. Parsley tea. SNACK: Rice cake with tahini.